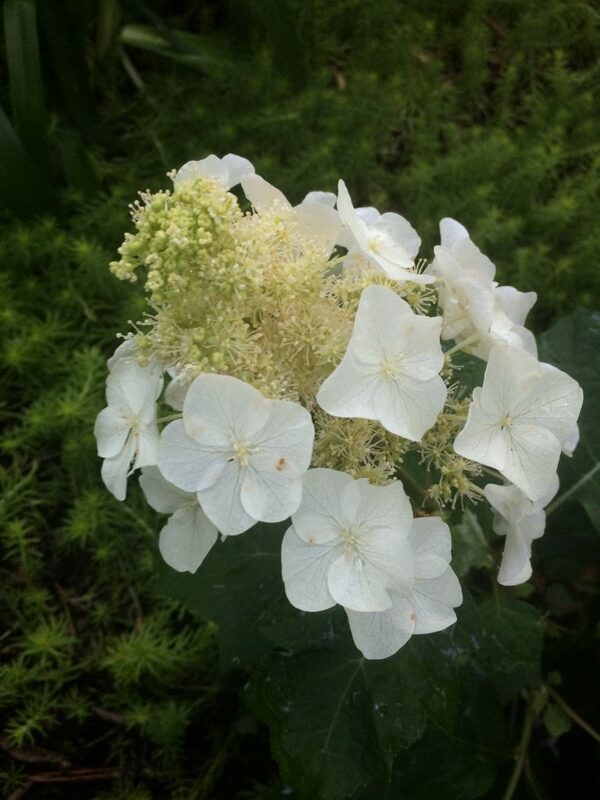 Useful smaller Oak Leaf Hydrangea that maxes out at 5′ x 5′ after 6 years. Large lobed leaves are medium green changing to maroon/red in fall and holding on to the foliage until mid-winter. Cones of true fuzzy cream flowers subtended by larger sterile white florets. Full sun to light shade in rich, well drained soil with regular summer irrigation. Blooms on wood from the current season, may be cut back hard in early spring to control the size. Very easy to grow, long lived shrub with many seasons of interest.